The Modern Luxury men's watch is an elegant pick for every day. An ion plated case presents a classical black dial, finished with a sleek IP stainless steel bracelet. A contemporary take on a timeless timewatch for the modern gentleman. 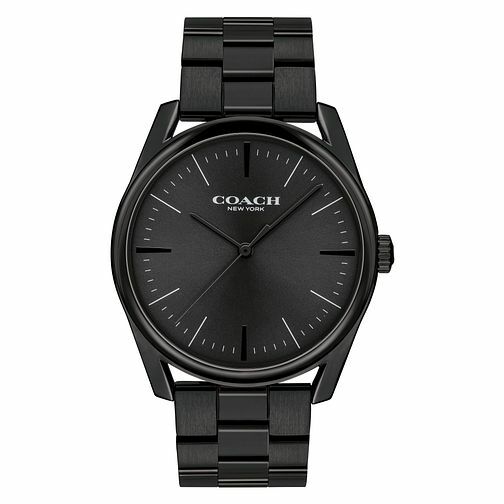 Coach Modern Luxury Men's IP Stainless Steel Bracelet Watch is rated 5.0 out of 5 by 1.